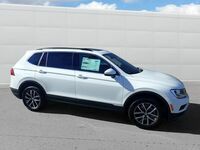 Finding the right crossover may seem difficult in a market that is crowded with options, but among them the VW Tiguan stands tall as a crossover that’s different. It’s different because it’s fully featured, ready for anything, filled with performance, and drenched with the iconic Volkswagen style that everyone loves. 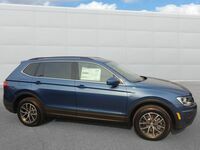 You can see a 2017 Volkswagen Tiguan in Walnut Creek, CA for yourself at Dirito Brothers Walnut Creek Volkswagen. You need to learn more about this crossover. It has a spacious interior, plenty of cargo capacity, and all-wheel drive power, while somehow achieving a wonderful balance between performance and fuel efficiency. There are four trims available for the 2017 model, and below we will even explain the primary differences between those trims. You can browse through our inventory by clicking the link below, or keep reading and learn more! The beautiful thing about buying a VW is these cars have options. So when it comes to the Volkswagen 4MOTION all-wheel drive system, it’s no surprise that it is an available feature on every Tiguan trim. No matter what trim you desire you can decide if you want FWD or AWD. Let’s face it, the reason you are thinking about a crossover instead of a sedan, is probably for the extra room it provides. 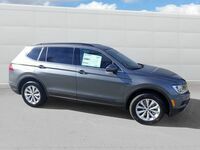 With spacious seating for 5, and plenty of room in back, the 2017 VW Tiguan, is ready for your family, and with 2,200 pounds of towing capacity, it can haul your toys too. When you want performance, VW always delivers, and the 2017 Volkswagen Tiguan is no exception. All trim levels come standard with a 2.0-liter powerhouse of an engine that can generate 200 horsepower alongside 207 pound-feet of torque, and it can still get 20 city and 24 highway mpg. 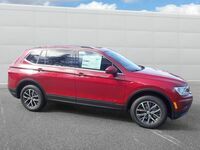 There are four trim levels available for the Tiguan, and as we mentioned previously, all four of them are available as either a Front-wheel drive crossover or an all-wheel drive crossover with 4MOTION. See how these trims differ in our trim level breakdown. 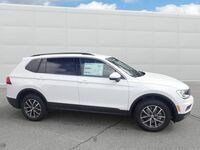 Tiguan S: This base model trim comes equipped with a plethora of features including keyless access with pushbutton start, VW Car-Net App-Connect, and a rearview camera system. 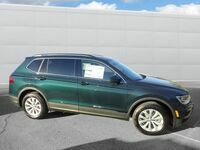 Tiguan Wolfsburg: The Wolfsburg trim add some style to an already stylish crossover. With features like 17” Novara wheels and a panoramic sunroof, you are sure to turn heads. The 12-way power adjustable seat is a big plus too. 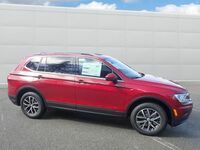 Tiguan Sport: This trim level adds Bi-Xenon headlights, leather seats, and a Discover Media touchscreen. 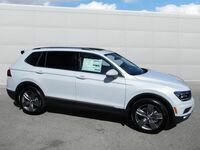 Tiguan SEL: With this top-level Tiguan trim, you get 19” Savannah wheels and an amazing premium audio system. Still not sure which trim is right for you? We understand. Maybe you need to see them in person. Drive over to Dirito Brothers Walnut Creek Volkswagen in Walnut Creek today, and let us show you what each trim has to offer. You can also browse our online inventory and do some studying of your own.